Narrative: Narrative is a content community where users rule and are rewarded. Narrative is a content community that rewards creators, moderators and all who add value. More than a social network, Narrative is a true online community where users rule and receive 85 percent of revenue. There are three types of channels: Personal Journals for individual content, Niches for thematic content and Brand Channels for brand-controlled content. User reputation and content ratings (not arbitrary algorithms) minimize the reach of low-quality content while rewarding the best content. Narrative uses blockchain technology and the NRVE token as the basis for content currency, creating tangible value around user-generated content. Even though cryptocurrency is used to represent value, users can choose to receive payments in standard currency. 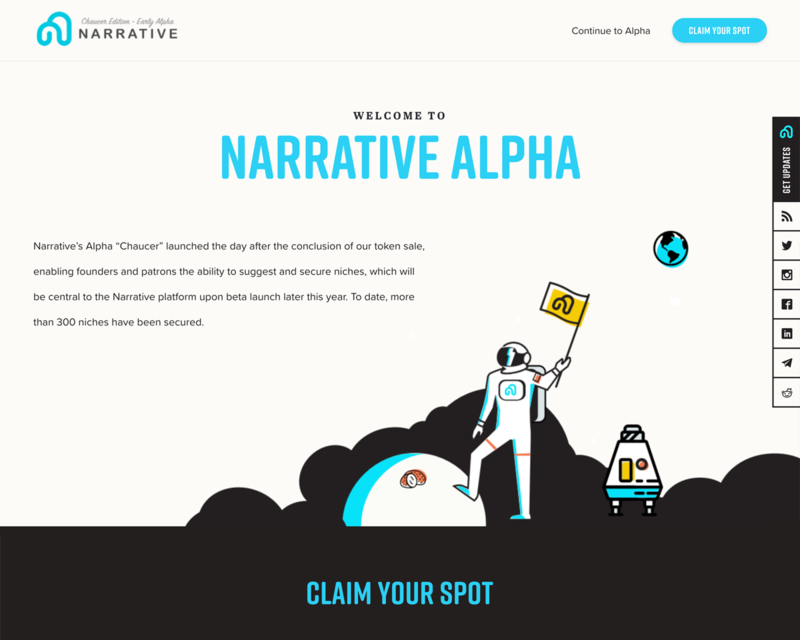 To sign up for the digital waiting list for early access to the Narrative Alpha, visit https://alpha.narrative.org/.